As an ambassador of the YUDU Screen printing machine, we have previously discussed that there are many uses of the silk screen printing machine. The most common product that we easily print on is actually t-shirts and apparels. T-shirt printing has been around for ages but recently it has been trending on a bigger scale. T-shirts are a great way to expand your business. They are not just used for fashion now but also play a huge role in marketing. T-shirt marketing has been around for many decades but now it is getting common day by day as we move towards an era of information technology. Brands that need no further recognition still have t-shirts with their logos on it. One can never go wrong with t-shirt marketing. Mark Zuckerberg wearing his own company, Facebook, t-shirt. T-shirts are not just used in marketing but also are very good for the purpose of spreading awareness. T-shirts spread the word for you and all that you must do is get it printed and ask people to wear it. This way the marketing is done for you. It is not immensely effective, but it creates exposure. In this era where our choices of clothing are greatly influenced by graphic and pictures that we get to see on the internet, an era full of customized products, T-shirts are one of the pioneers of customizable products. T-shirts for the purpose of fashion is quite common nowadays with people getting pictures that they prefer, printed on the t-shirt. Customizable products are quite unique since is it catered according to your request. When it comes to T-shirts, the possibilities are endless. With a sea full of t-shirt printing companies, finding the right one for your business, cause or fashion is getting quite difficult. T-shirt printing can be a complicated process if not done properly. There are always alternate ways to get printed t-shirts for less price. This is risky because if t-shirts are poorly printed, the sticker or the printed part usually gets hard and it lasts for a very short time. There are companies that manufacture t-shirts that might seem good at first with bendable print but after a while the sticker or the print starts breaking, and it feels like flakes of fabric are stuck to your t-shirt. At times, these prints do not even survive the first wash and the print is distorted. With YUDU screen printing machine however, you can expect a lasting durable print that will make your t-shirts look great all the time. There are always brands with catchy names and nicely designed websites selling overpriced t-shirts. We, of course, do not wish to pay way more for something that can be bought in far less. There are always people that are in search of quality and durability. T-shirts printed for the purpose of marketing are usually of decent quality with longer print durability. It is because the durability and extended wear of the shirt will result in longer use which will ultimately lead to more marketing and people do mention the company and the type of quality t-shirt that they provided. 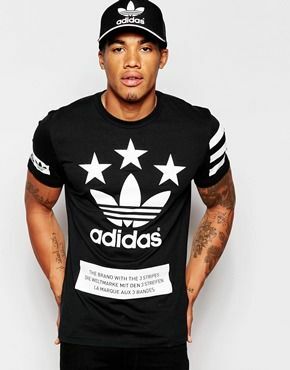 When it comes to fashion it is mostly up to the wearer’s preference if they prefer price over the quality or sometimes people opt out for cheaper option mainly because they don’t want the t-shirt for a longer period or those who switch up their style quite often. Other than being customers for t-shirts, one can also make money by being the seller. T-shirt printing business is profitable and it can make you a huge income if done right. A company that grabbed my attention is a T Shirt Printing Singapore company, which is a model company to follow if you plan to start a business. For a start, they carry the largest t shirt printing catalogue in Singapore, which is important to meet more customers needs. Meowprint offers all that a typical t-shirt printing company does and more. It is not all about the prints but also about the fabric that it is printed on. Needless to say, they will not disappoint you when it comes to quality. One just does not become the largest t-shirt printing in Singapore overnight, due to it’s highly competitive industry. Dedication and hard work is done to achieve the fame and the status and that is exactly what people at Meowprint have done. They do not only offer basic t-shirt printing but also has quite a variety ranging from silk screen printing using YUDU screen printing machine to embroidery. They also provide you with all the information regarding the kind of print you want to go for including the advantages and the disadvantages, not to forget their own recommendations. When it comes to the printing services, they provide Digital Heat Transfer printing (printing by a heat press machine), Silk Screen printing (printed through a stencil), Vinyl Heat Transfer printing (pressing design onto a shirt using a special vinyl paper), Embroidery (intricate needlework that creates a 3D effect), Direct to Garment printing (the latest method using the new ink jet technology) and Sublimation printing (the ink goes through a process of sublimation allowing the ink to become a part of the fabric). With such a huge variety of processes to choose from, it can be said that this is a very professional company and not just some start-up one providing inconsistent results. We have worked with them personally with the use of YUDU screen printing machine tutorials for their business operations. On top of t-shirt printing services, Meowprint have positioned themselves well in marketing. They allow you to see their recent work for the sole purpose of buyer satisfaction. People of course always trust the reviews and there are only positive ones with a 5-star rating on Facebook with people not only appreciating the company’s work but also the staff and the professionalism that they observed. Businesses are not easy to run, but they have proved themselves to be in the run for a long time. They are the kind of company you might want to engage if you want good quality at a reasonable price. They also have a design lab for their clients to make sure to get the output right allowing the clients to design the t-shirt totally according to their preferences. At the end of the day, be it you are a customer or a seller in the t-shirts industry, we can safely say that T-shirts is a customizable item that is going to remain popular in time to come. If you wish to start a business, you can read how to use YUDU as a learning rope. From there, you can expand your knowledge in the t-shirts world.